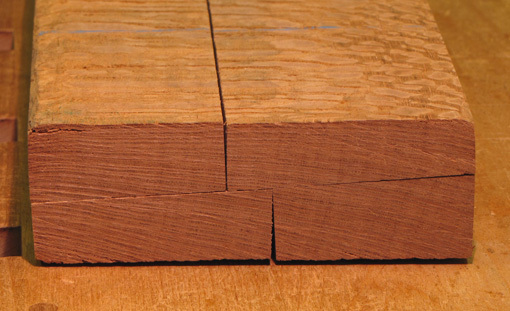 Thoughtfully managing the wood right from the start is one of the most critical elements in the success of a project. 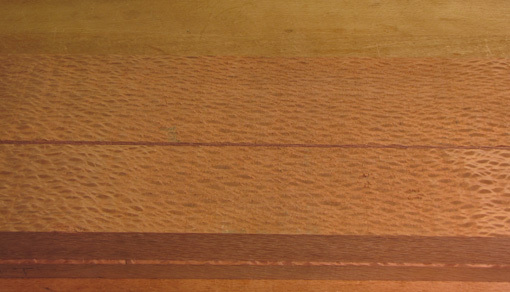 I find it to be also one of the most exciting aspects of woodworking. Here I show how I managed a board of 8/4 lacewood to get the desired figure and sizes of wood needed for a project. I pieced back together the sawn board to recreate the decision process. 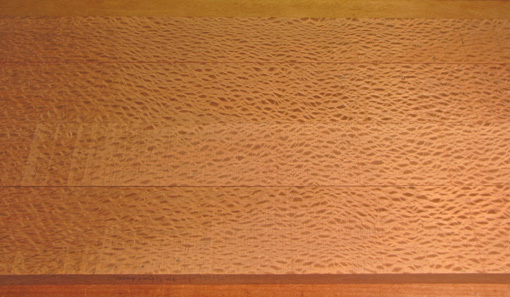 Below is an end-grain view. 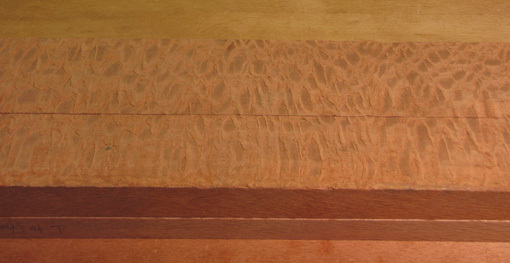 The more prominent lines in lacewood, here running across the board’s width, are rays. The faint annual rings are nearly vertical and approximately perpendicular to the rays. At the top of the board, the rays meet the edge at an angle and so produce a rather fine figure on the surface. This is not quite what I wanted. The two photos below shows the board flipped over. Now, at the top of board, the rays are nearly parallel with the edge and so produce a broad flake figure on the surface. To my eye, this is not the most attractive look for lacewood. To get the desired figure and have all the surfaces consistent, I resawed the board at an angle such that the rays, as they traverse the core of the board, meet the cut line at an angle, but at a lower angle than at the top surface in the first photo (at top). To give this a test, I made a 1 ½” end cut, marked a resaw line and cut it to reveal the new surfaces. They looked good so I went ahead, set my bandsaw table, and resawed the board at that angle. Some of these pieces will be gently shaped, primarily along their lengths. Because this will not appreciably change the angle at which the rays meet the surface, there should be no noticeable change in the figure pattern. There will be a bit of shaping across the width of some of the pieces, but I will keep this to a bare minimum because that will change the angle at which the rays meet the surface and thus change the figure. This was fun – especially since the wood came out the way I had hoped. Sure, sometimes things won’t work out because, as Dr. Hoadley reminds us in the first sentence of chapter one in his seminal book, Understanding Wood, “wood comes from trees.” Careful strategy in breaking down stock is essential to the success of a woodworking project. This thinking should start even as you are selecting the wood from the supplier. 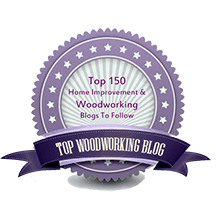 I hope working with lacewood goes better for you than it did for ShackeltonThomas as described in an issue or Fine Woodworking. 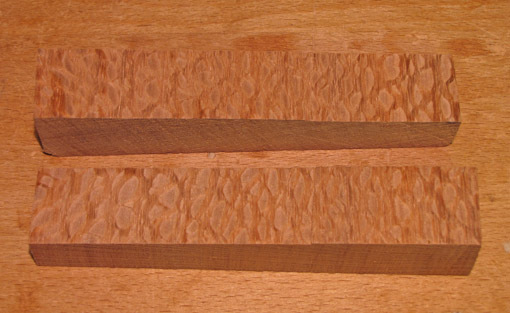 Seems the workers had some serious allergic reactions when working on a commission using lacewood. Thanks for the tip. 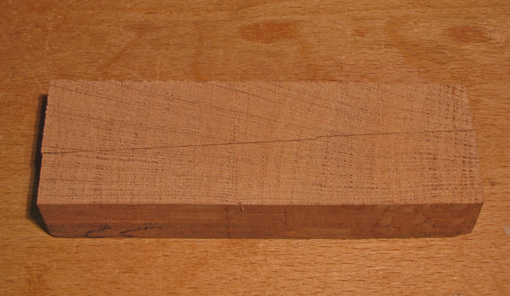 I think the wood that I have is Brazilian lacewood (genus Roupala). I have read that the Australian lacewoods (genus Cardwellia and genus Grevillea – “silky oak”) are the ones that can produce reactions. But Roupala is in the same taxonomic family as those, so I guess caution would be a good idea. It’s about 11 degrees. The finer figure is produced by about 17 degrees. But I wouldn’t go by that. I suggest experiment with end cuts as I did. Preceded of course by a prayer to the wood gods. Thanks, Steve. 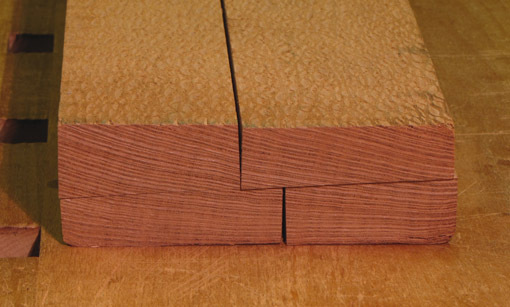 Yes, it really is just an example of the value of studying the wood to get the best from it. By the way, the boxes you make are wonderful! Readers, click Steve’s name to link to his site.